Even if Spidey #13 is pre-muddied. I had to give it a second look! What is up with that? Was that really a thing for kids' clothes? That tie-dye rust Spider-Man shirt looks pre-dirtied. How unique; and how appropriate it would have been for my younger self. It would have saved my parents from endless required daily washes. That Spidey shirt looks like it was found at a crime scene. 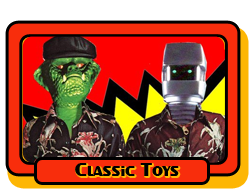 Glenn's face got a lot of play in monster merchandise, from the 60s on. I would almost bet there's slightly more Strange Frank merchandise than Karloff, or its' very close. It is not related to the topic but I want to ask if anyone likes lego compatible night light?